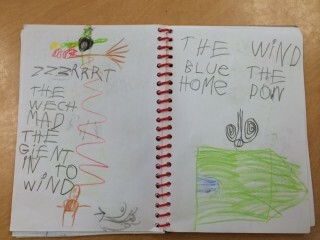 The afternoon children have had fun helping to write group poems this year. 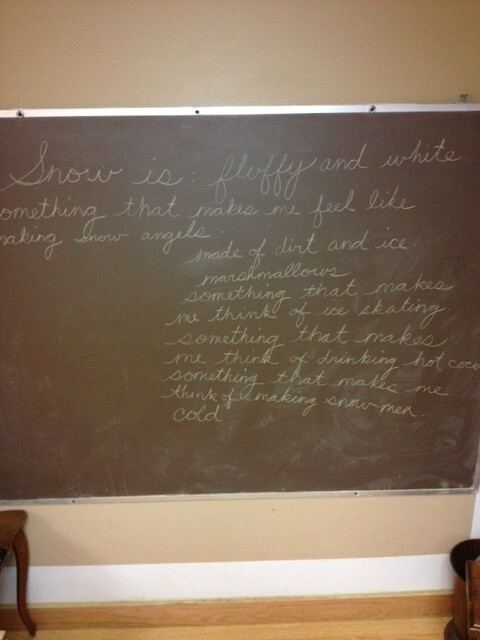 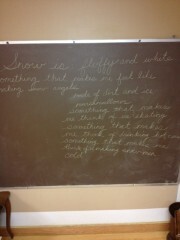 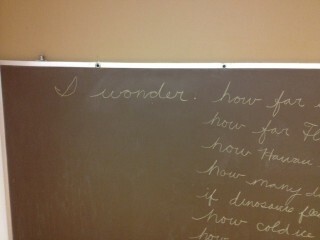 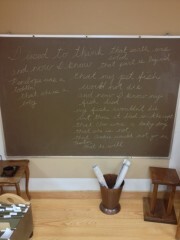 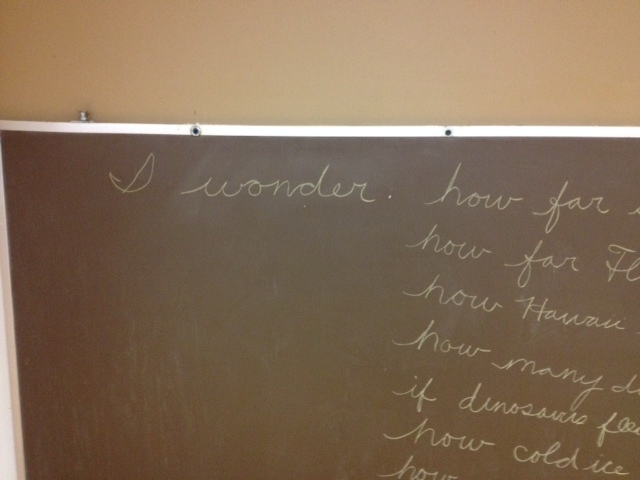 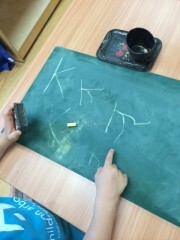 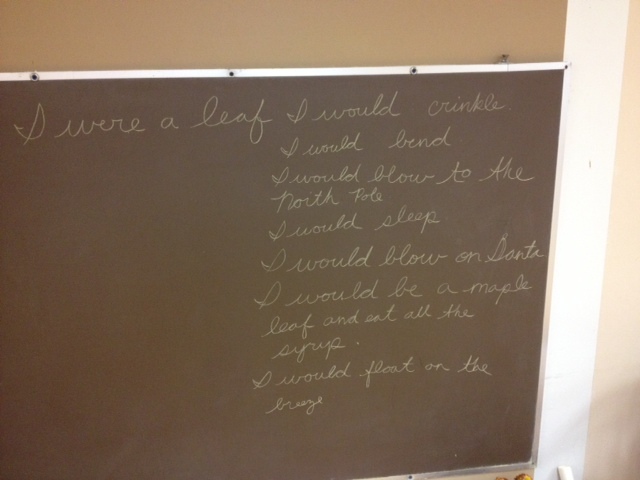 About once a week, the afternoon children gather around the blackboard and think of something to say when given a prompt. 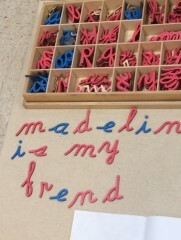 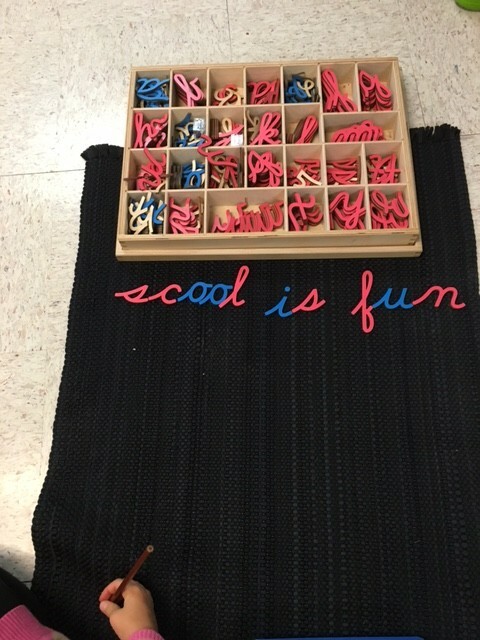 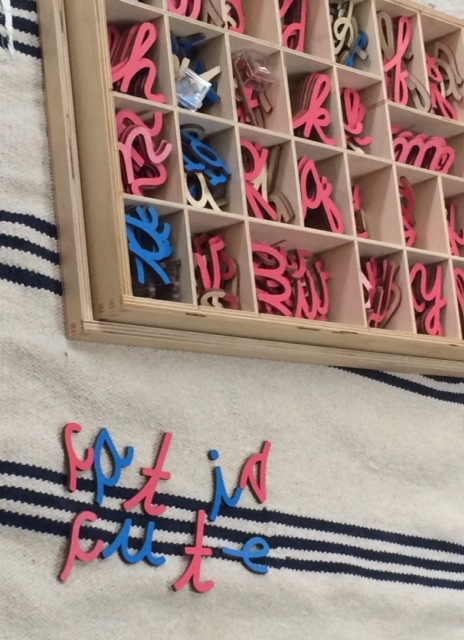 This helps inspire creativity and increase language skills. 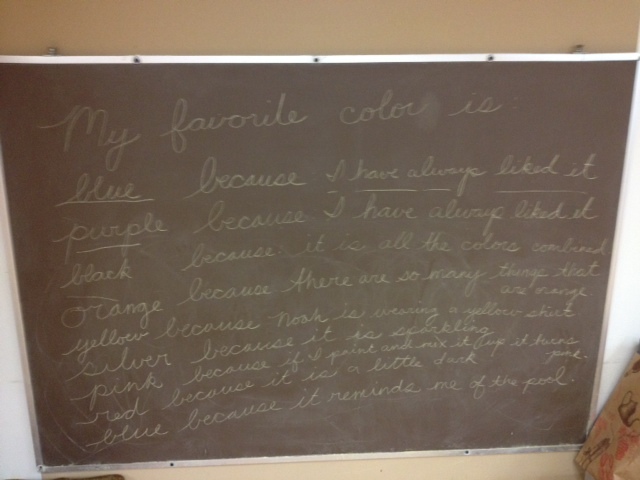 The teacher writes and says the prompt and then asks for children to add their thoughts. Some children begin by saying something similar to another child but eventually begin to think of things to say on their own. 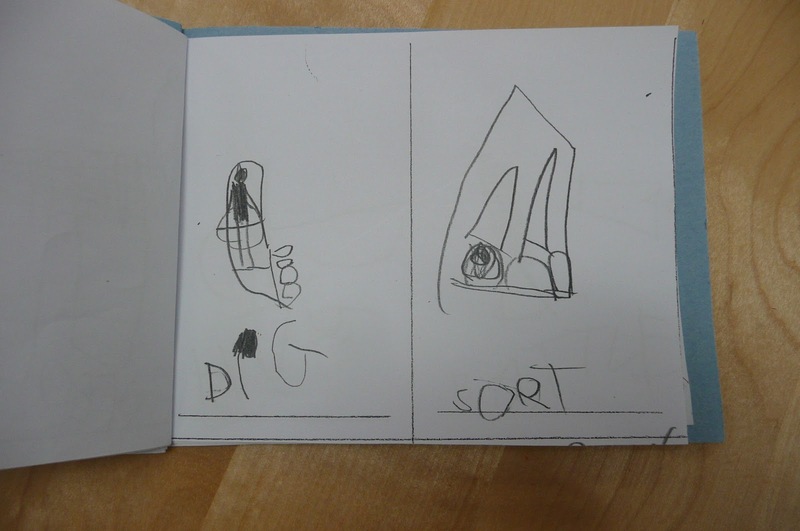 See below each photo for the responses. 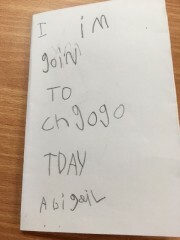 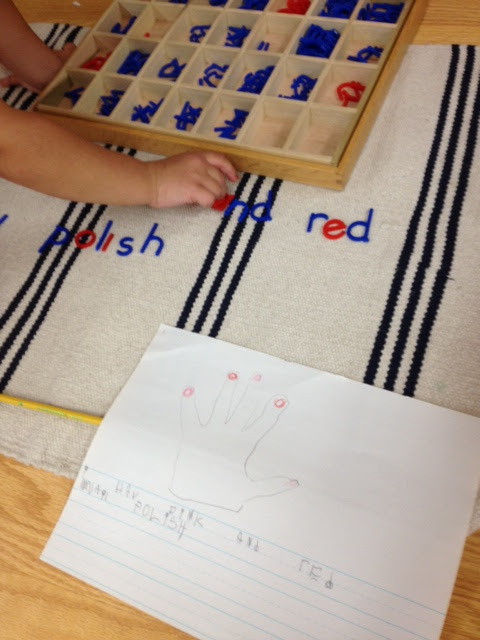 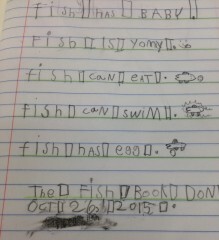 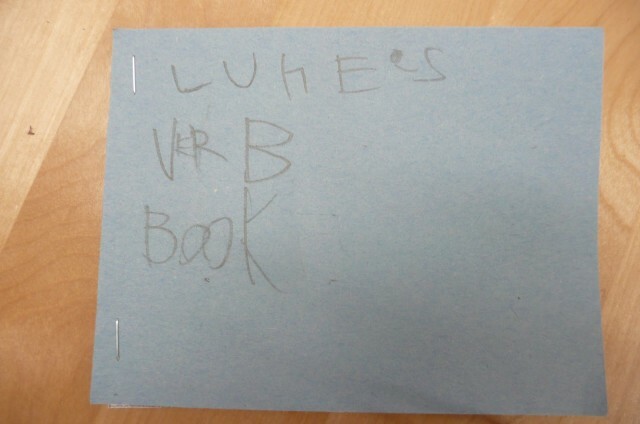 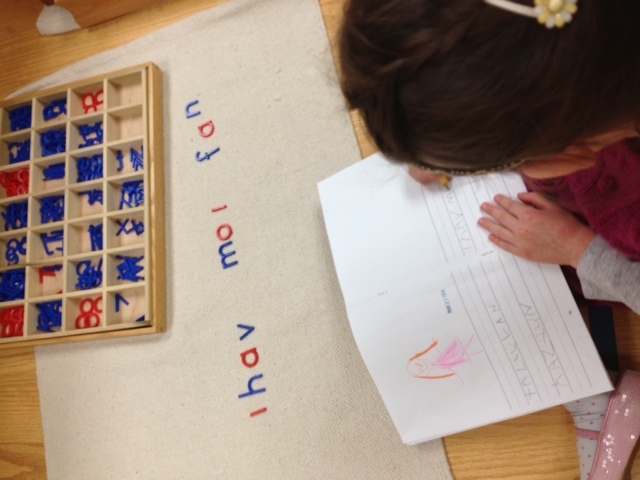 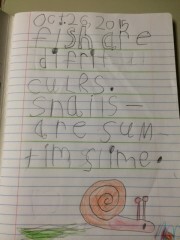 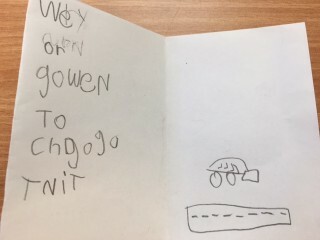 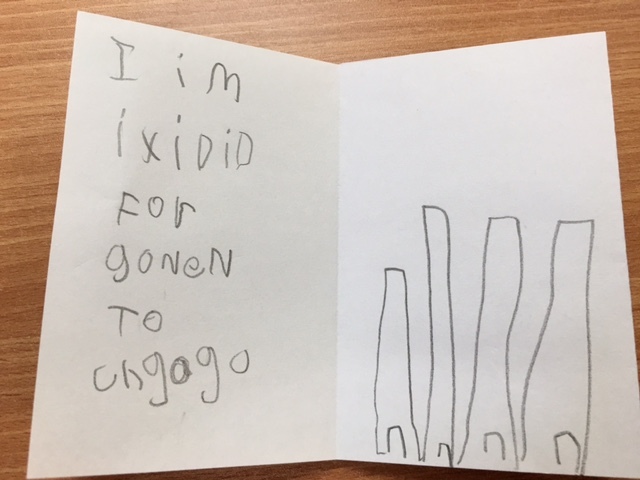 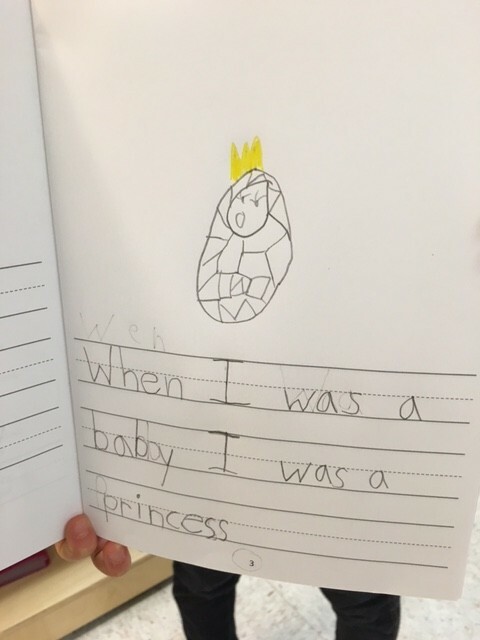 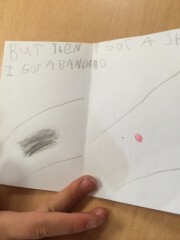 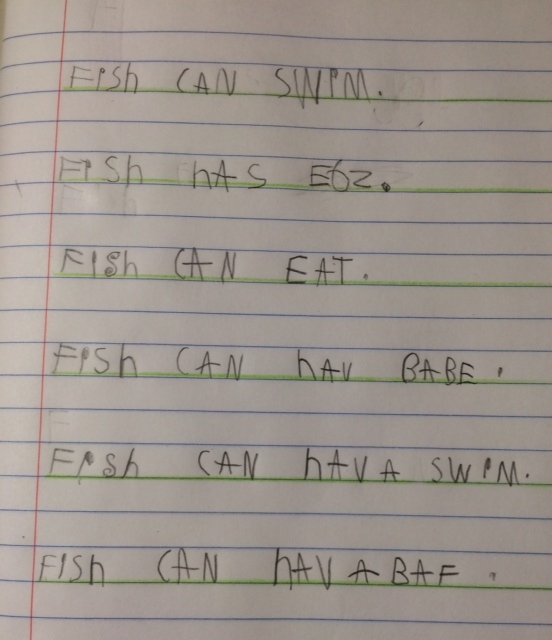 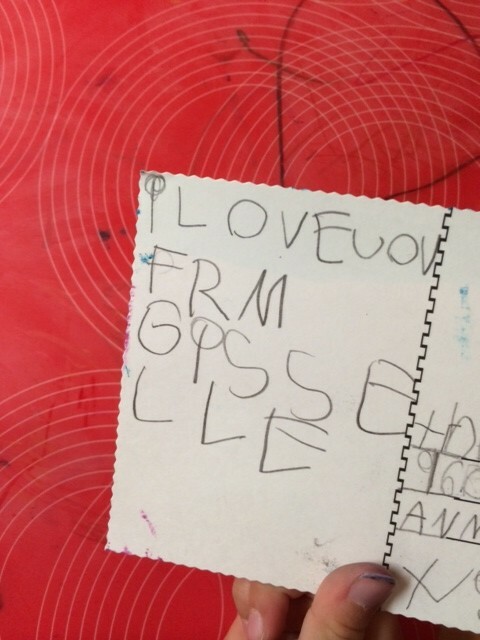 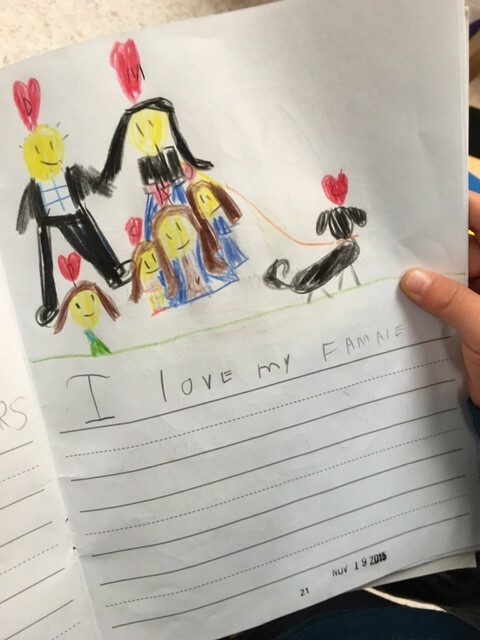 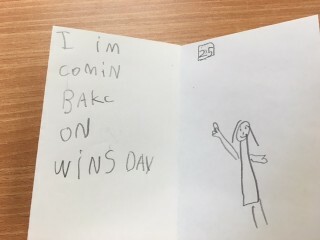 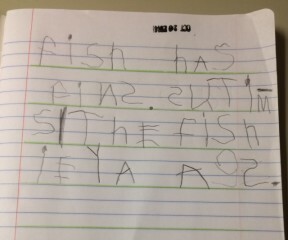 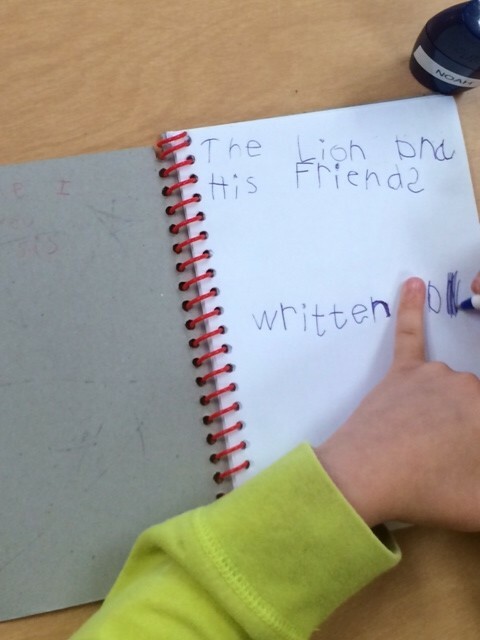 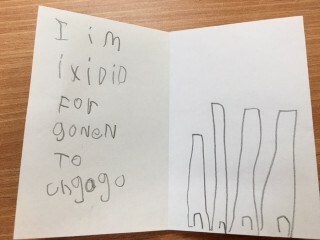 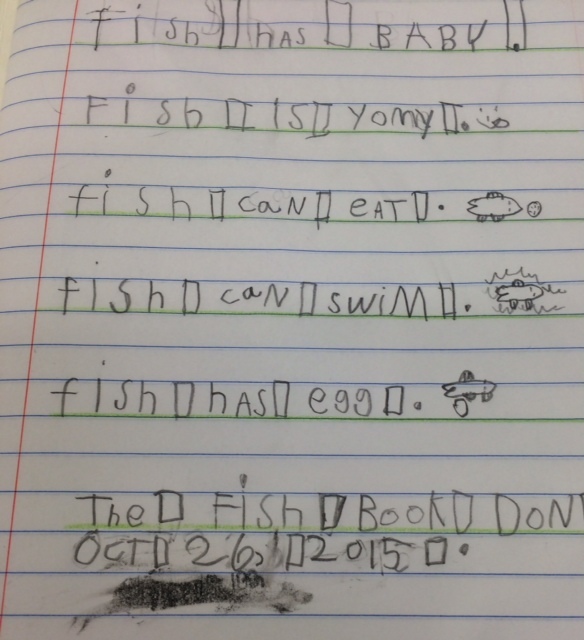 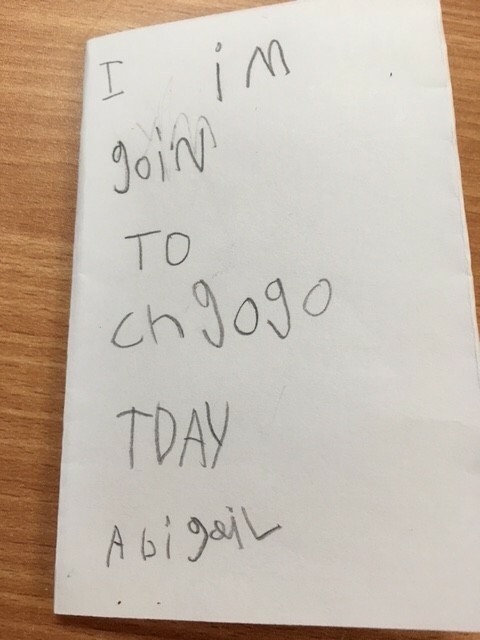 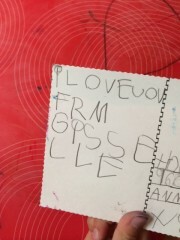 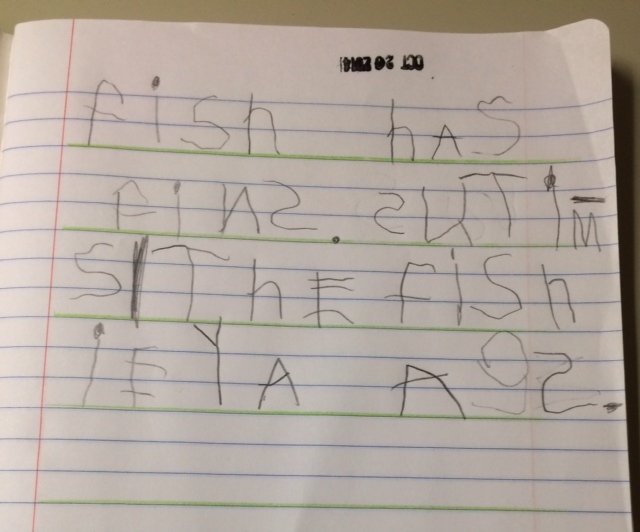 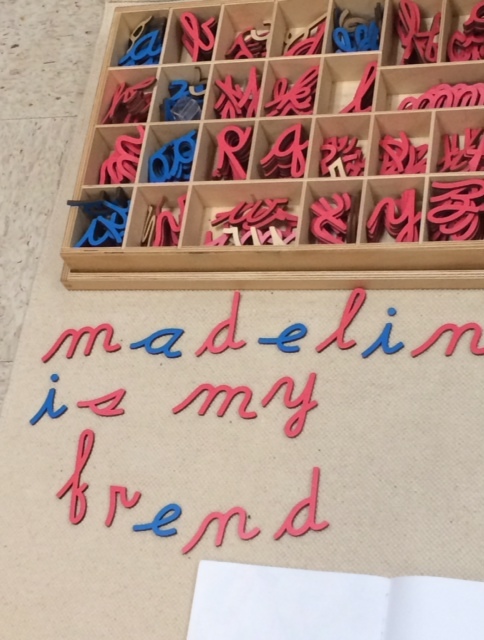 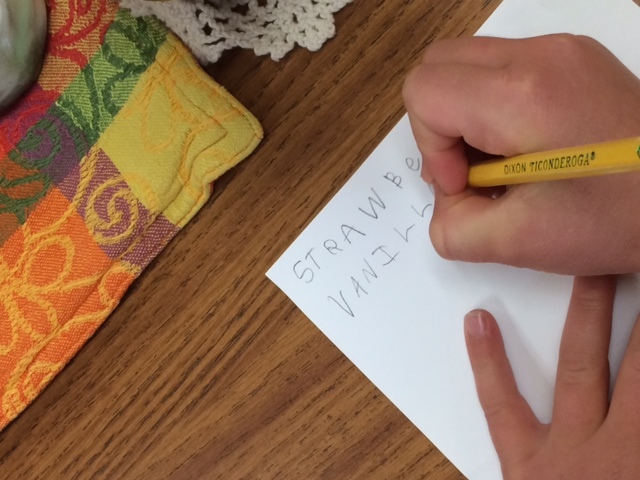 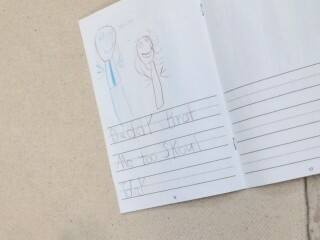 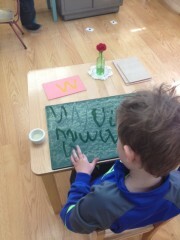 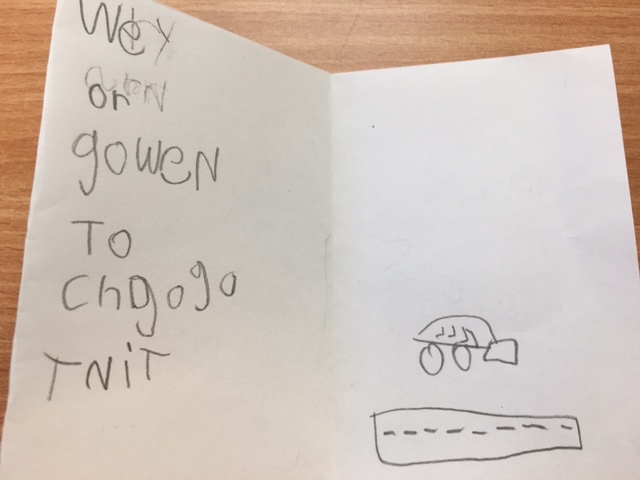 This Kindergarten aged child has become quite interested in learning about grammar! 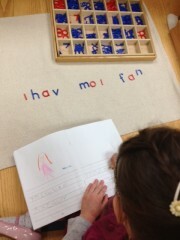 She is reading and sounding out words at the three letter consonant-vowel-consonant level and knows many sight words. 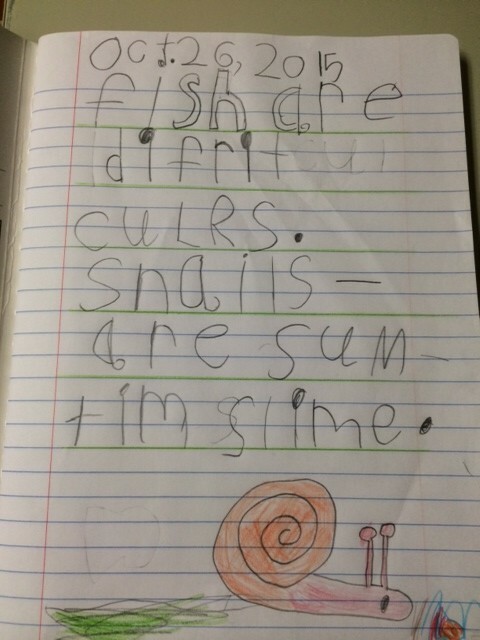 The purpose of this “work” is to have the child understand the difference between nouns that are singular and nouns that are plural. 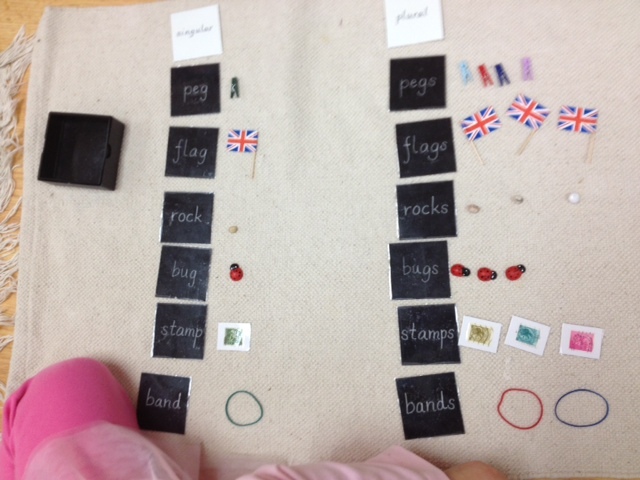 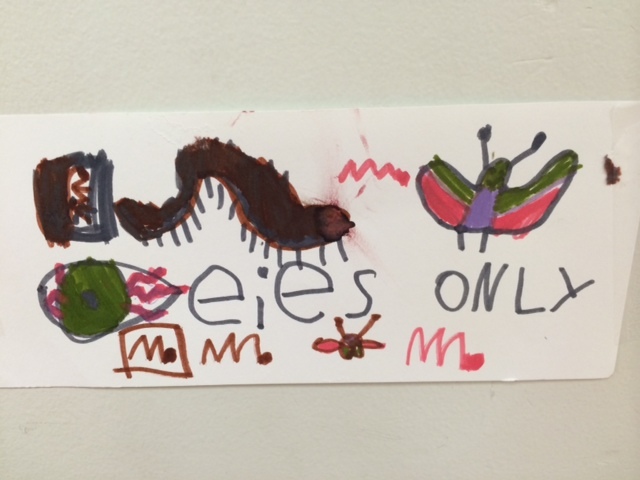 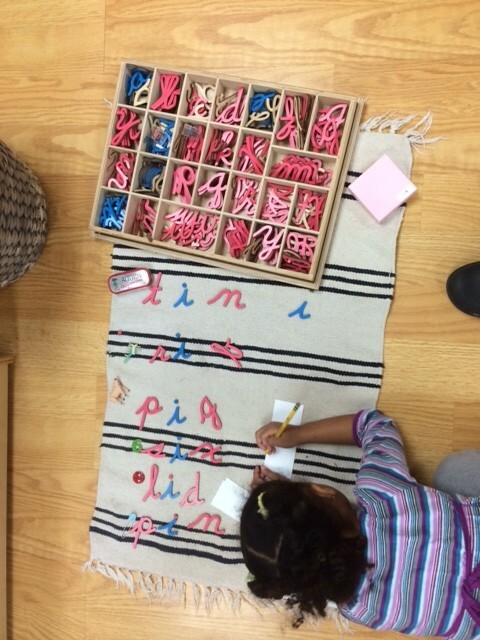 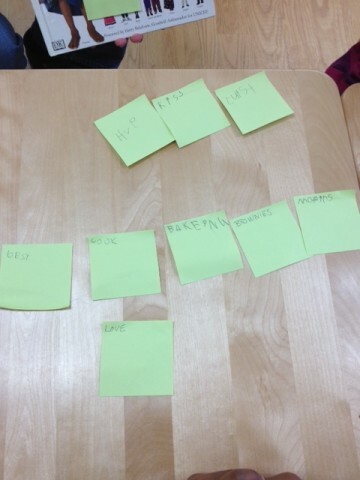 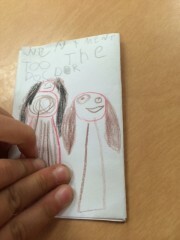 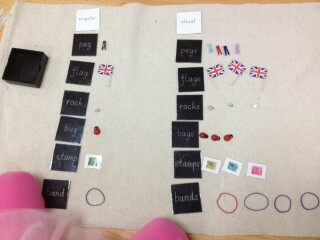 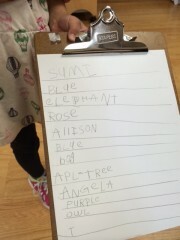 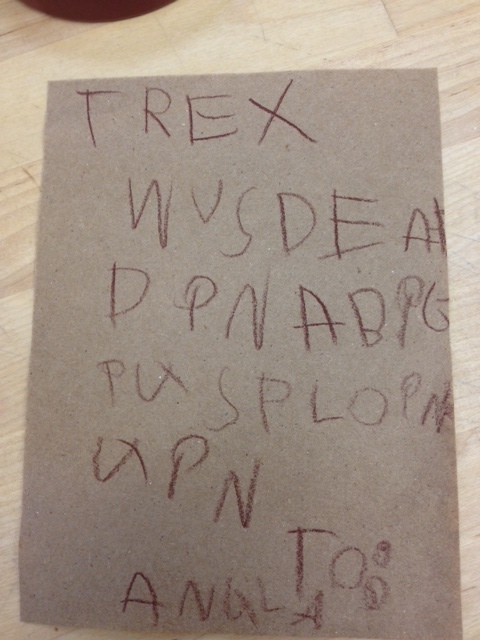 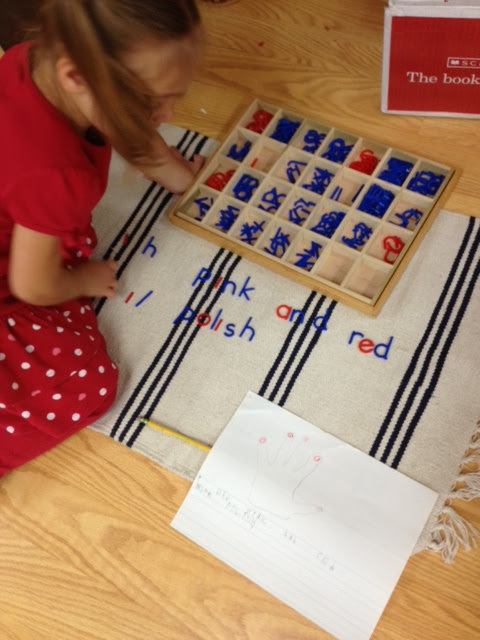 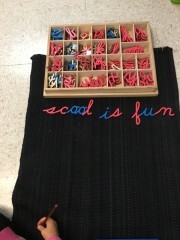 She places the tags at the top and a teacher helps her to understand that one says singular and one says plural. She then reads each card and places it in the appropriate column. 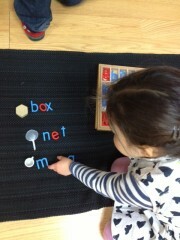 One by one she places the tiny objects next to the cards. A lightbulb goes off! 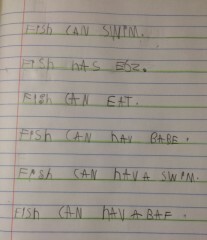 It is a concrete way to introduce beginning grammar! 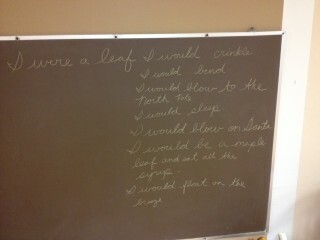 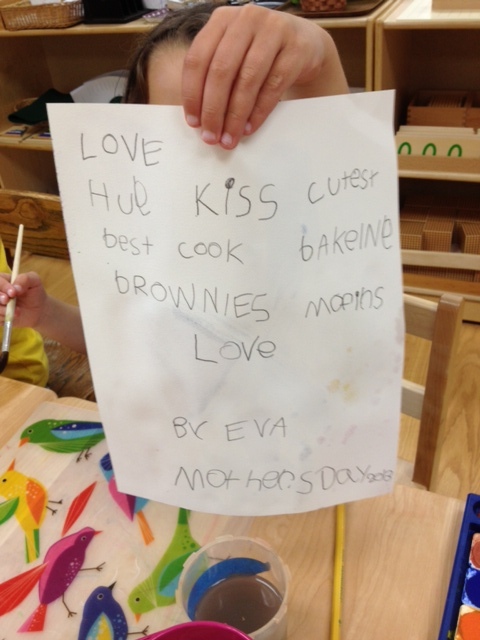 The afternooners wrote a poem for their mothers yesterday. 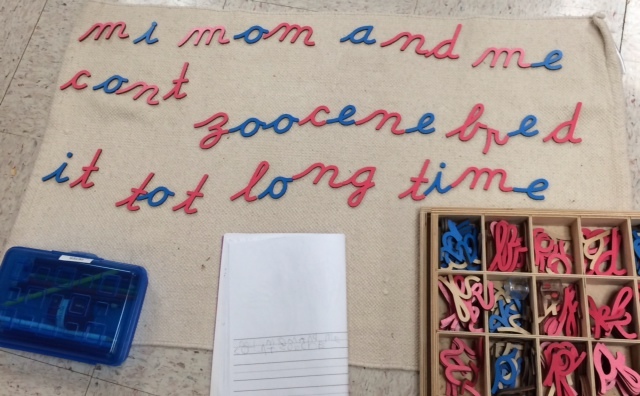 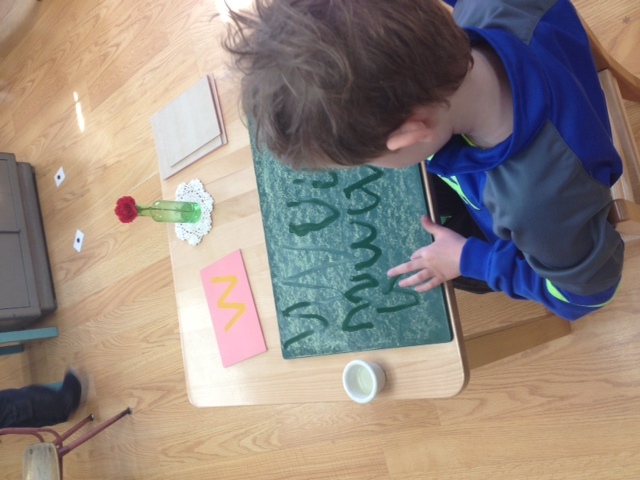 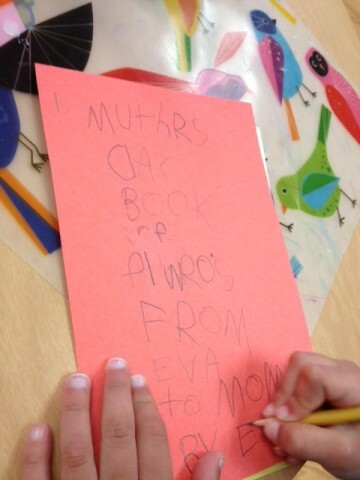 We began this work by thinking of words that came into our mind when we thought of our mothers. We had the children write them on sticky notes so they could be arranged and moved around. 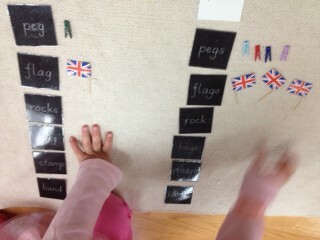 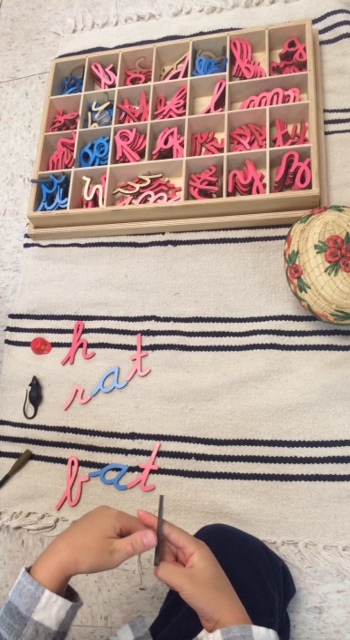 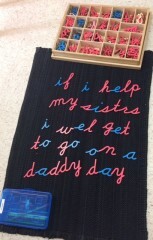 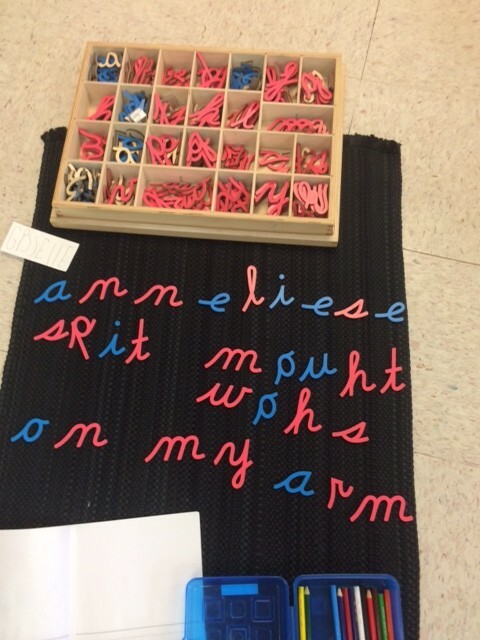 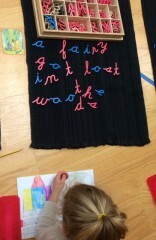 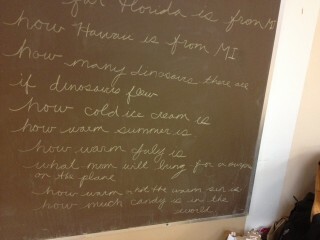 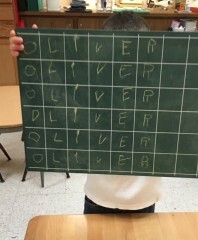 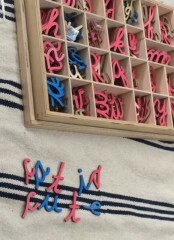 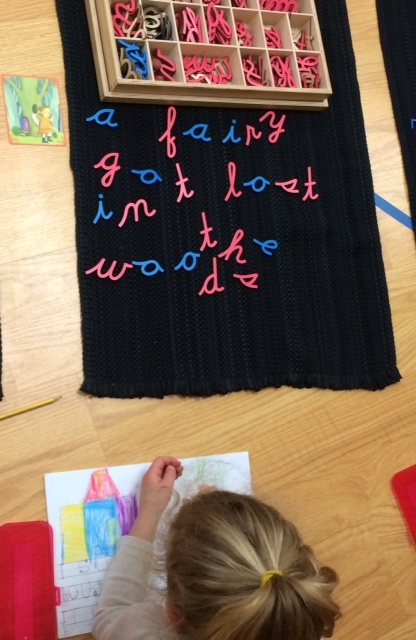 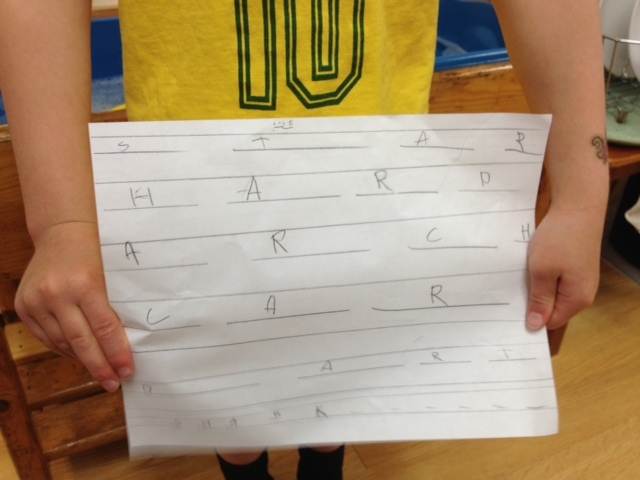 The children put a lot of thought in how to arrange the words. It was wonderful to watch them work this out as a group. 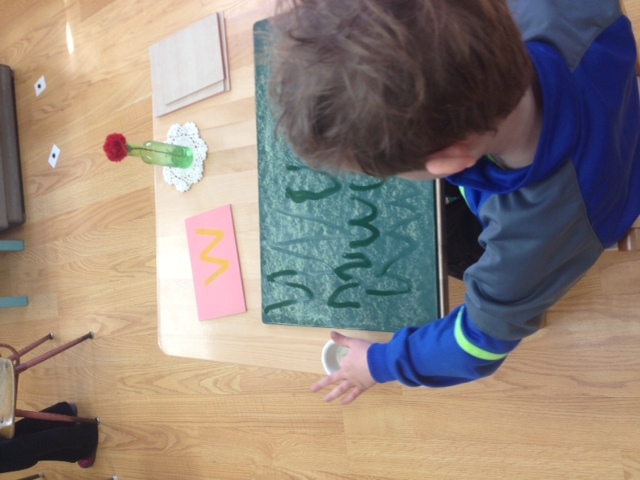 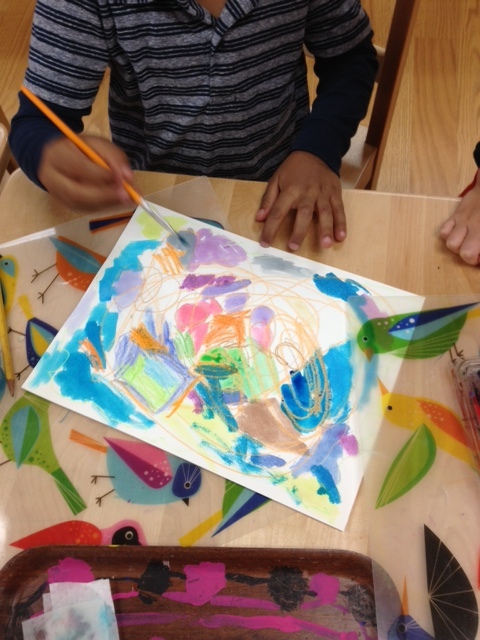 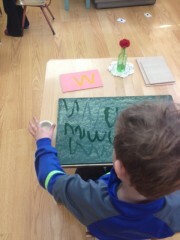 After the words were written, they flipped the watercolor paper over and used crayons and watercolors for a wax-resist art project. Happy Mother’s Day to all of our amazing Mothers!!!! 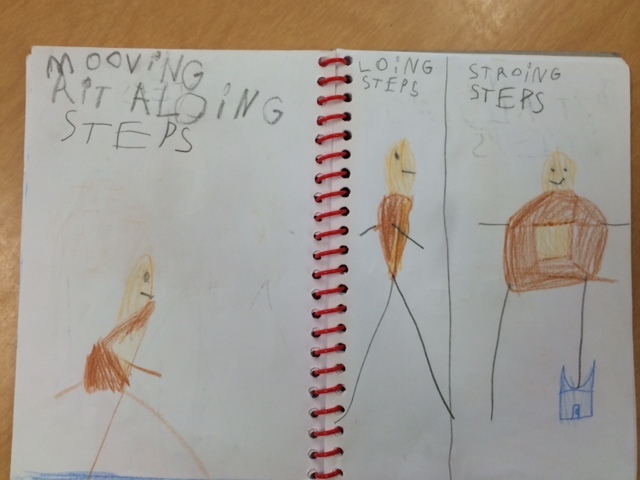 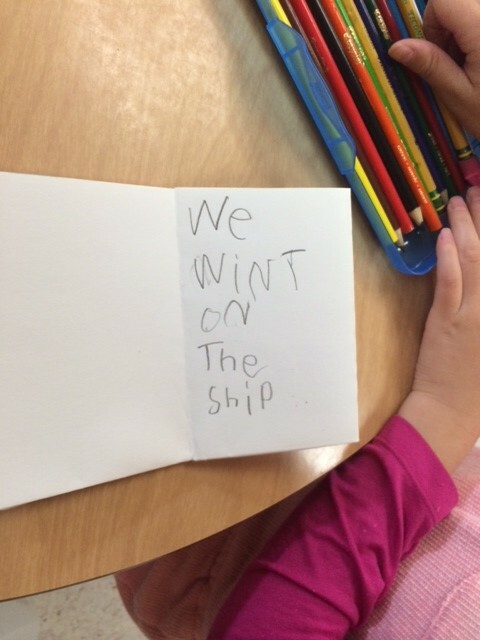 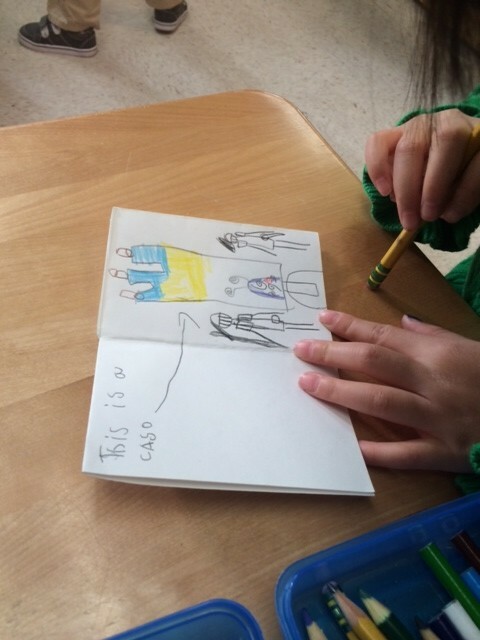 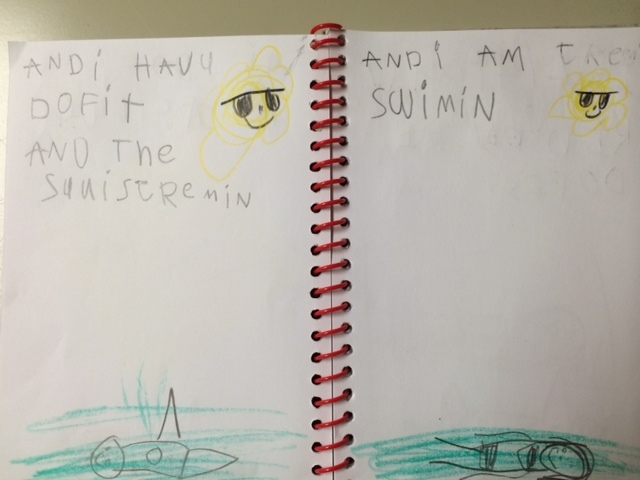 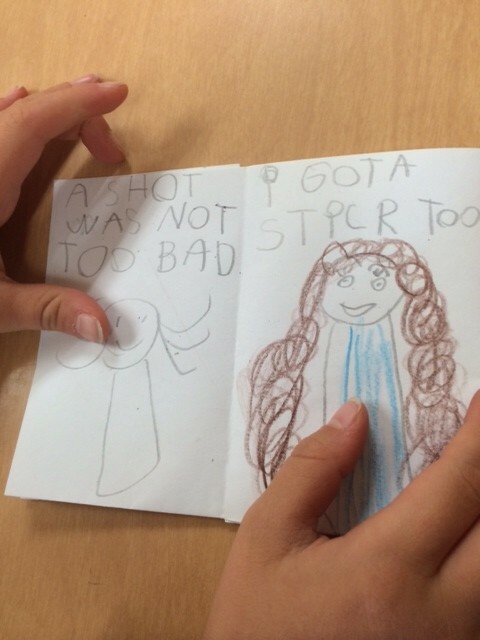 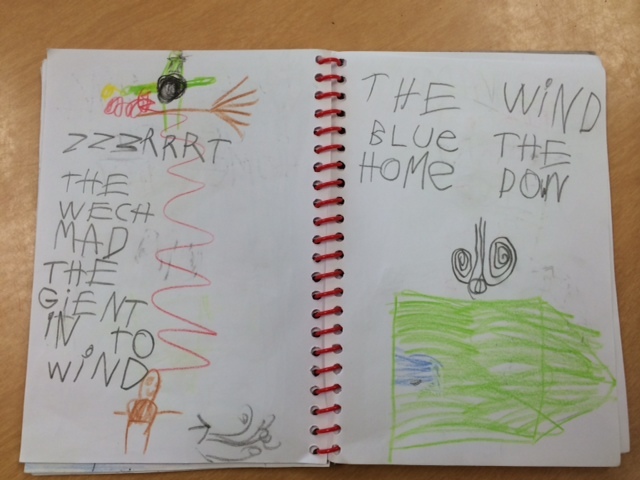 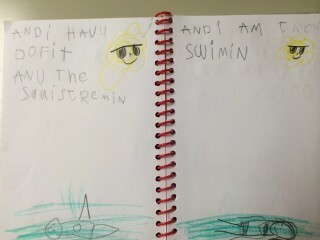 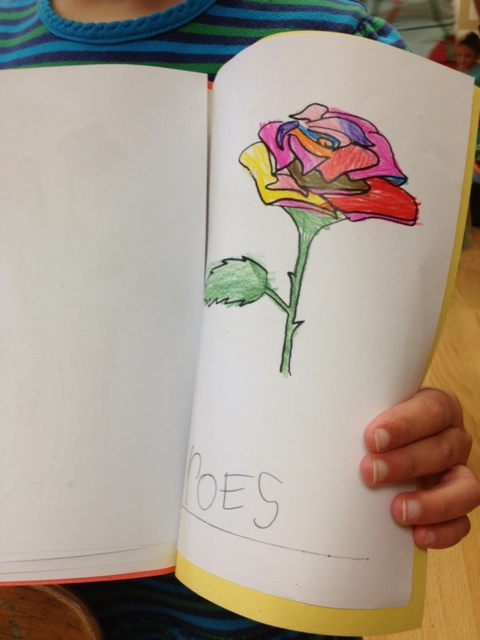 We then decided they would make an illustrated verb book. 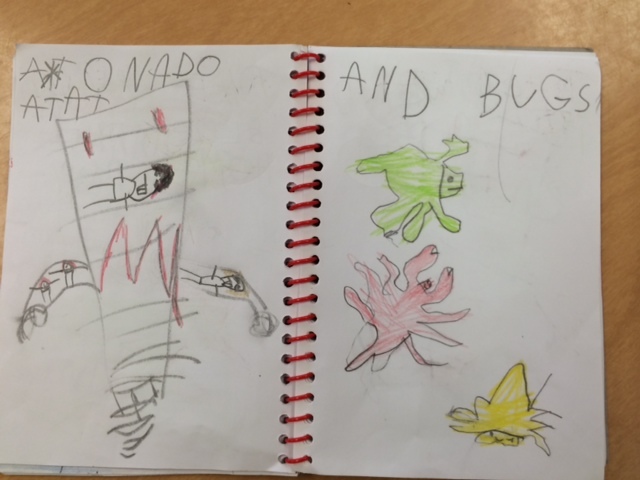 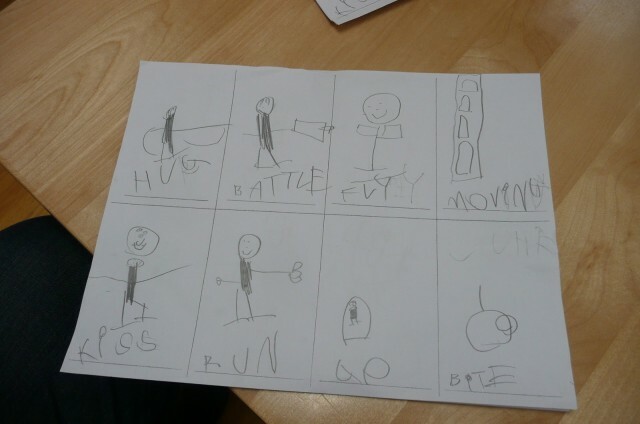 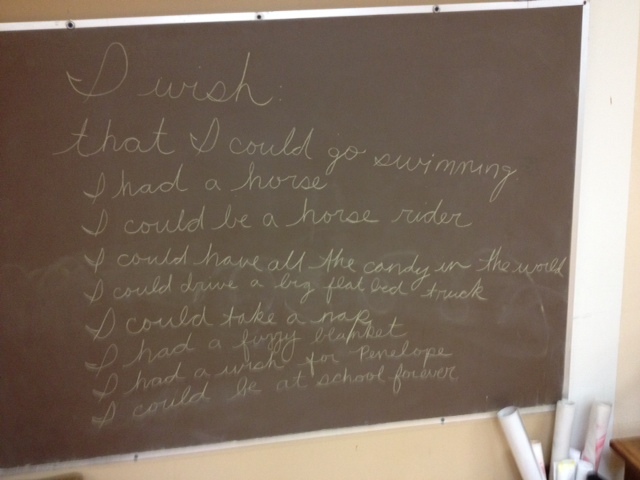 They thought of various verbs, wrote the word and then drew pictures. We then copied each child’s work, cut the papers and assembled the books.